The Guardian has revealed the best places to study journalism in its 2019 university guide. The University of Sheffield has come out on top with The Guardian giving it an overall score of 100 out of 100 based on a variety of factors – including course and teaching satisfaction, student to staff ratio and career prospects. Oxford Brookes, Cardiff, Newcastle and Stirling made up the rest of the top five of the table – which also takes courses related to publishing and public relations into account. Last year both The Guardian and The Times ranked Sheffield’s department of journalism studies number one in their respective league tables. 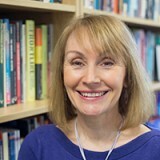 Professor Jackie Harrison, joint head of the department, said: “We are delighted to retain our position as the UK’s number one journalism department for a second successive year. “Our top spot in the Guardian university league table reflects the innovative teaching and far-reaching research taking place here at the University of Sheffield as we equip a new generation of journalists with vital skills and knowledge and an understanding of the essential role journalism plays around the world.